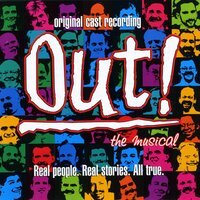 A musical based on the life stories and performed by the singers of the Connecticut Gay Men's Chorus. Out! began as a series of questions we asked the guys of the Connecticut Gay Men's Chorus. When and how did you first know you were differen? What was it like your first time? How did you know it was time to come out to your family? How did they take it? What would you like to tell the rest of the world about being gay? Their answers - candid, funny, human, and brave - were the basis of a one-act version of Out! But it was clear they had more to say. It was also clear that many of the most powerful stories were about moments with parents, and that we needed to talk to those parents. (No parent expects to have a gay child, and they also undergo the coming out experience.) So we gave the guys another series of questions, and, to those who were willing, questions to send to their parents. Remarkably, over thirty mothers and fathers returned the questionnaires. Their responses join their sons' in the show. What can I say but Congratulations! Winston Clark and Peter Winkler have written a fantastic piece of music that not only wildly entertains, but is one of the best outreach pieces I have witnessed in a long time. The cycle of songs and choral pieces were very well crafted, both individually and as a cohesive whole, with very definite thematic ideas coming across clearly without being smarmy or blunt: when we first discovered we were "different", our coming out stories, our parent's reactions (both good and very bad), religion, and finally acceptance and growth. And Winston Clark as director has done magnificent things not only with this piece, but with his boys. His inventive staging only added to the power and humor of each piece, never upstaging the music. And he has groomed the singing abilities of the chorus very nicely. And again, my favorite, his knack of spreading solos and small groups throughout the chorus leads to, while not technically brilliant performances, truly heartfelt and sincere renditions. The secret strength of "Out!" is not only in the first-hand accounts of true stories of various choral members, but the actual singing of these stories by those very same people (or at least the appearance; if anyone actually didn't go through what they were singing, the audience never knew).